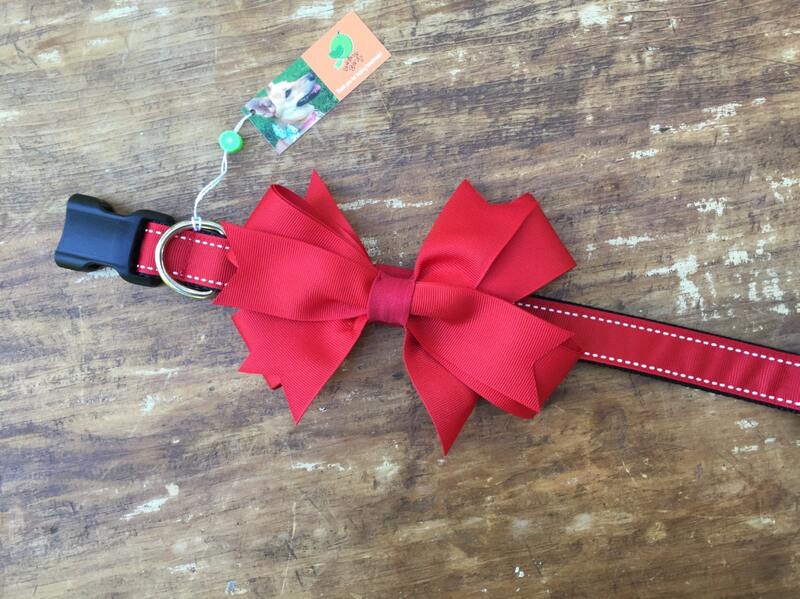 Red Dog Collar with Removable Boutique Bow, two collars in one! 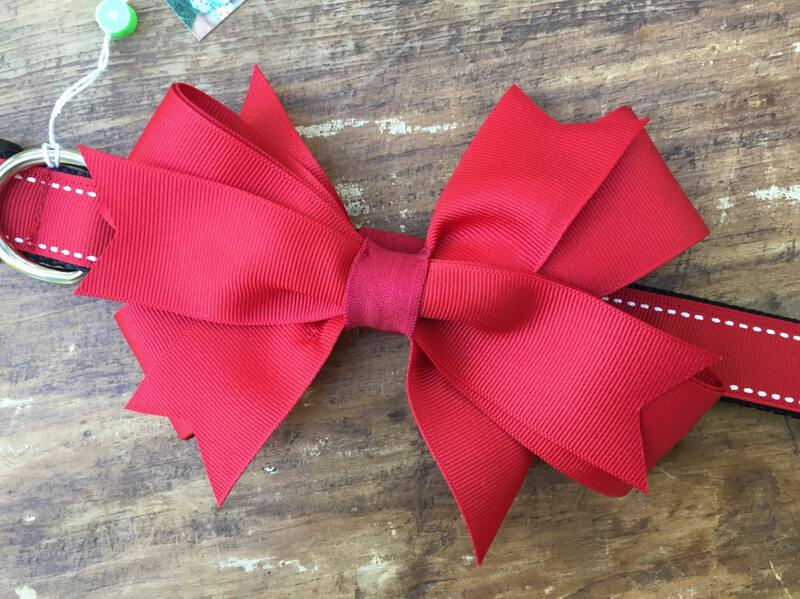 Big beautiful removable red boutique bow dog collar for your pretty girl. 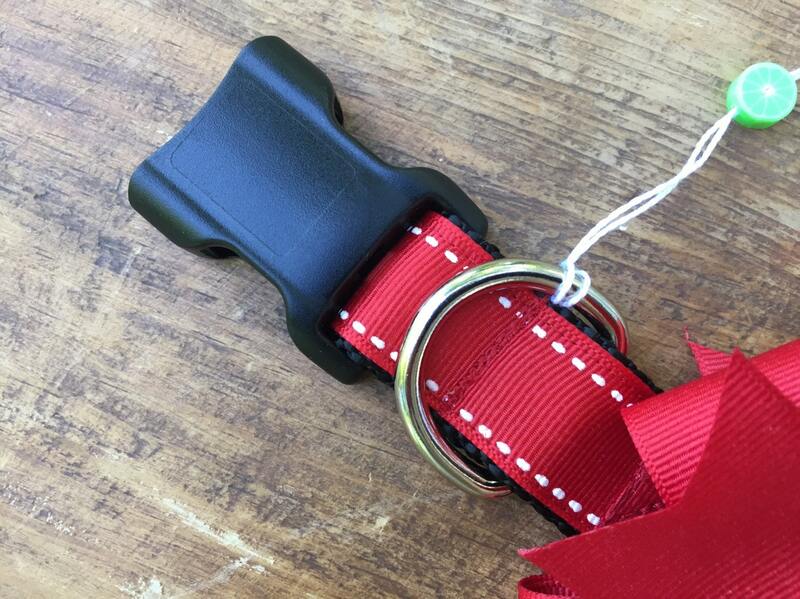 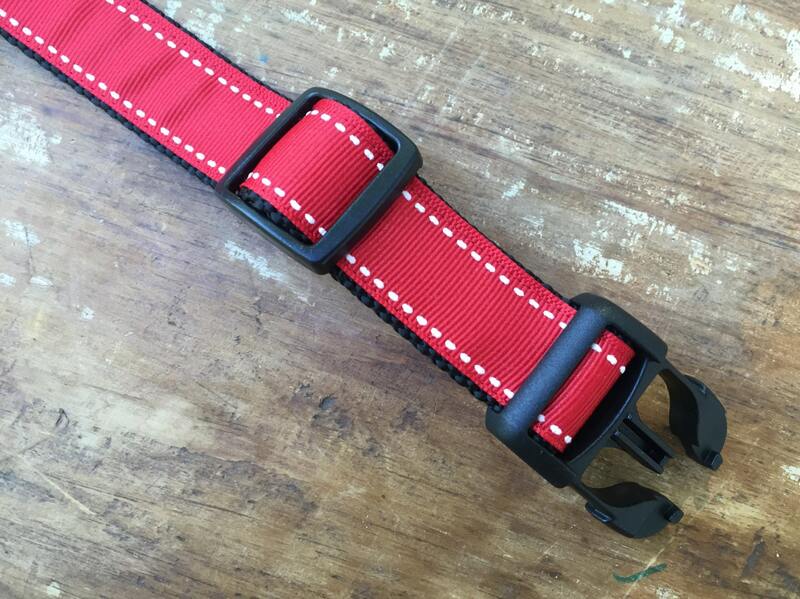 Red grosgrain ribbon is sewn onto strong 1 inch wide black nylon webbing for this medium sized adjustable dog collar.